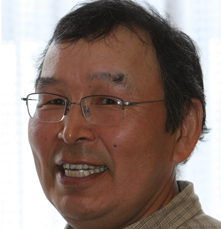 Myron Naneng, Sr., is the president of the Association of Village Council Presidents (AVCP) – a tribal consortium representing 56 villages in the Yukon/Kuskokwim Delta. He has held positions as AVCP vice president, special staff assistant/ Office of the Governor in Bethel, in various roles with the state’s Community and Regional Affairs and with the Bureau of Indian Affairs. He is president and chairman of Sea Lion Corporation, chairman of Sea Lion Management Group, United Companies, Inc., and a board member of the Alaska Federation of Natives / Human Resources Committee. Mr. Naneng was born in Hooper Bay, Alaska and graduated from St. Mary’s High School in 1970. He attended the University of Alaska Fairbanks majoring in Natural Resources. He also attended Kuskokwim Community College and received an AA degree in Land Resource Management.